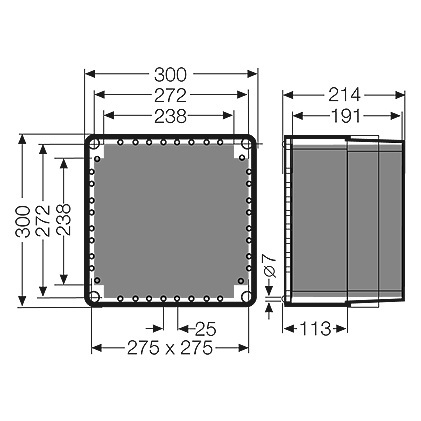 MI 0210 Empty Enclosure 195mm inside height 300x300x214 Outside Dims | DamenCNC B.V.
An empty Enclosure from Hensel. The transparant cover is easy, in case VFDs or other PLC type controllers are inside with a display. 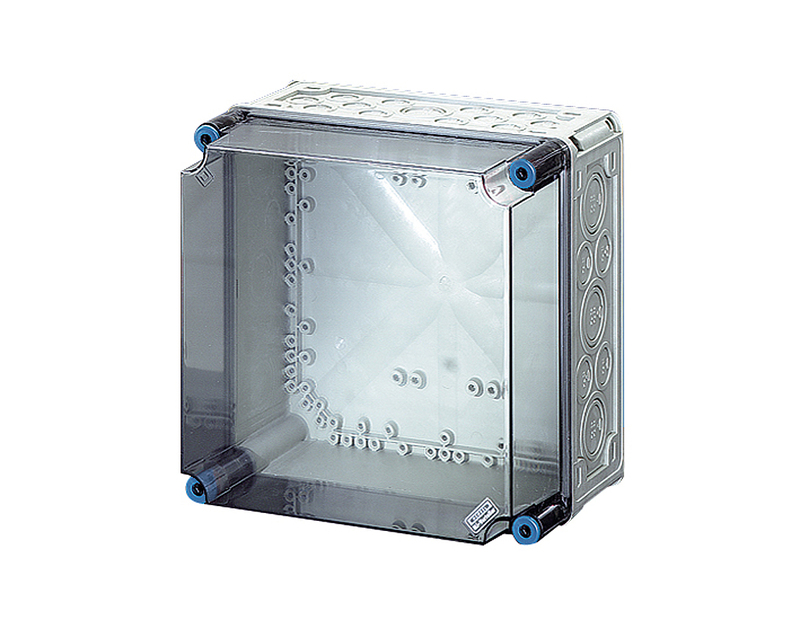 The enclosure is rated IP65 and can be used outside. Do keep in mind any extra holes drilled for components also need to be sealed IP65, otherwise the rating will not be valid anymore.